Tennessee earned a berth into the 2018 NCAA Tournament as a No. 3 seed in the South region of the bracket on Sunday. They’ll be playing No. 14 seed Wright State in their first match-up in the tournament, and they’re in the same region with some tournament blue bloods. The Vols are in the same region as the No. 1 overall seed, Virginia, and No. 2 seed Cincinnati is who the Vols would likely be matched up against in the Sweet Sixteen should they make it that far. No. 4 seed Arizona and No. 5 seed Kentucky are also in Tennessee’s region. 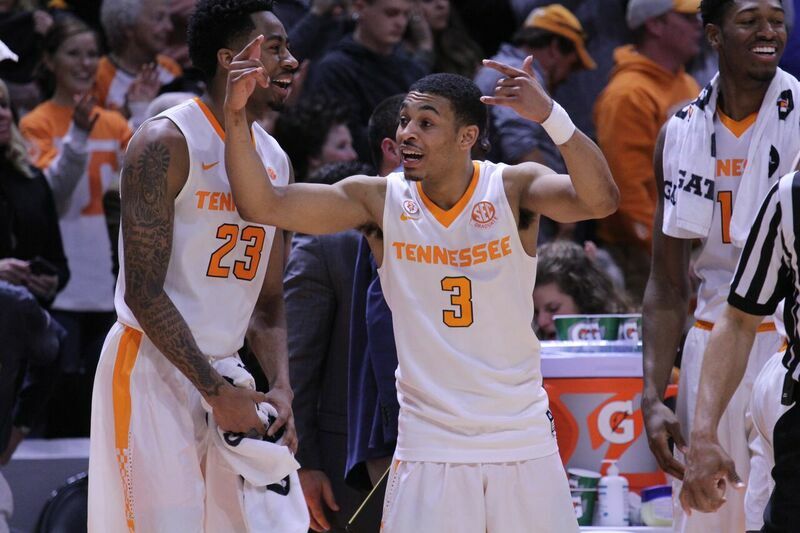 If Tennessee advances past the first round, they’ll play the winner of the No. 6 seed Miami and No. 11 seed Loyola-Chicago match-up. The day the bracket was announced, several college basketball analysts, experts, and former coaches shared their predictions for each region. And several of those analysts believe the Vols can make a deep tournament run. Half of ESPN’s panel on Sunday think the Vols will make it to the Elite Eight, which would be only the second in program history. All four of them expect the Vols to make it to at least the Sweet Sixteen. But those aren’t even the boldest predictions. Former Indiana and Marquette head coach Tom Crean believes this year’s Tennessee team can do something no other Vol squad has been able to do: make it to the Final Four. Tom Crean, who should be coaching next year and is already one of the best analysts on TV, just picked Tennessee to go to the Final Four. No. 3 seeds have made it to the Final Four 15 times over the last 33 NCAA Tournaments. That’s the third-most appearances of any seed in the NCAA Tournament. The Vols have made it to the Sweet Sixteen five times since the tournament expanded to 64 teams in 1985. All five of those appearances have come since 2000. Tennessee has made it to only one Elite Eight in program history, and that was in 2010.